Are you ready to change things up from traditional creatine supplementation? N’FUZE™ is a combination of Kre-Alkalyn® (a patented buffered creatine transport system utilizing 'pH-Correct'® creatine stabilization technology) and Carnosyn® Beta-Alanine along with other sought-after pre-workout ingredients, all in a convenient capsule form. N'FUZE™ is designed to be taken 30 minutes prior to weight training and again after. All you need is the courage to lift and the proper supplements to raise the bar! 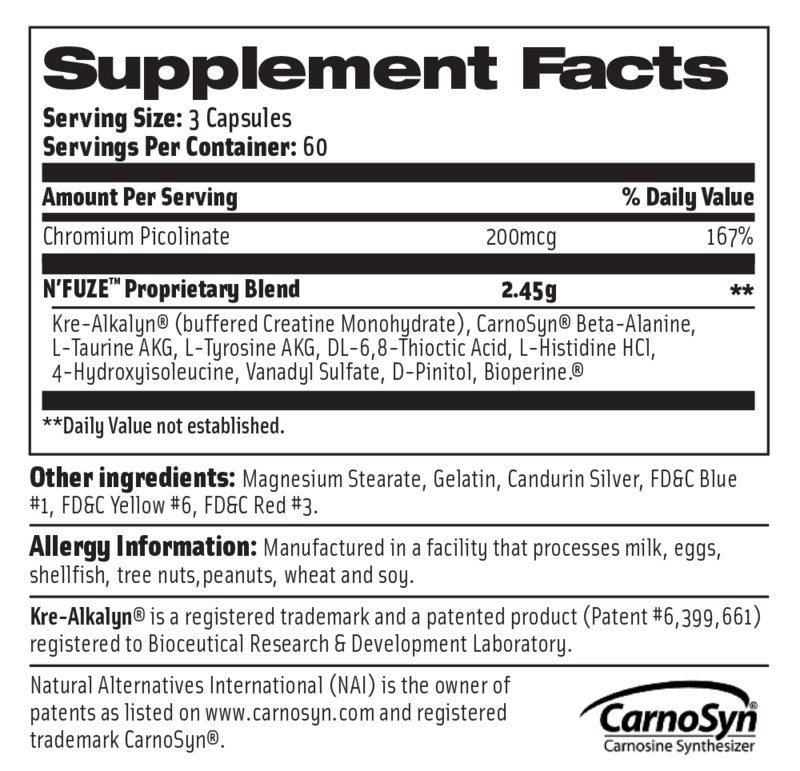 SUGGESTED USE: As a dietary supplement, take 3 capsules 30 minutes before and 3 capsules immediately after your workout.